"I've been describing Sheryll Cashin's next book partly as a history of white supremacy in America," says Cashin's editor, Joanna Green. "Cashin powerfully illustrates how white supremacy was and is foundational to US capitalism and expansion; thus, segregation proves to be an essential tactic. The Lovings dared to cross the color line, and their story reveals why that color line was constructed. In fact, the Loving decision was the first and only time the Court ever used the potent words 'White Supremacy' (in caps) to name such ideology. It's surprising that so few people are aware of this case." Ayla Zuraw-Friedland, "Beacon Goes to the Movies: "Loving" and the History of White Supremacy," Beacon Broadside: A Project of Beacon Press, December 15, 2016. http://www.beaconbroadside.com/broadside/2016/12/beacon-goes-to-the-movies-loving-and-the-history-of-white-supremacy.html. 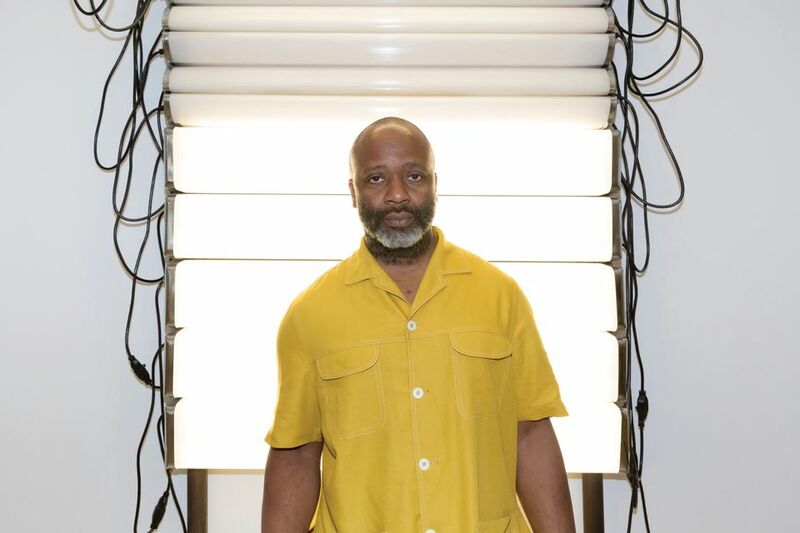 The US artist Theaster Gates has taken the eviction of a mixed-race community from a small island in Maine as the starting point for his first solo exhibition in France, opening this month at the Palais de Tokyo. In 1912, 45 people from Malaga Island were evicted by the state authorities and eight of them were committed to the Maine School for the Feeble-Minded following the state’s purchase of the island in 1911. The island, a poor fishing village of black, white and mixed-race people, was ridiculed in a Maine newspaper as a “strange community” of “peculiar people”; its eviction has recently been described by a US documentary as having been motivated by economics, racism, eugenics and political retribution. Through new works including sculptures, a film and a video, the Chicago-based artist has developed the wide-ranging project and exhibition, Amalgam, which explores the complexity of interraciality and migratory histories. The show has been organised by Katell Jaffrès and has received support from Regen Projects, Richard Gray Gallery and White Cube. The Art Newspaper: How did you become interested in the history of Malaga Island and how did this lead to Amalgam? Theaster Gates: I had started a residency in 2017 at Colby College in Maine and was visiting a friend who said there was this important, not well-known history about this island that used to have black and mixed-race people that were evicted. We were in a boat and he suggested having lobsters on the adjacent island before checking it out. So I learned of it quite leisurely and then started to do research. Read the interview article here. This entry was posted	on Monday, February 11th, 2019 at 01:14Z	and is filed under Arts, Europe, History, Interviews, Media Archive, United States. You can follow any responses to this entry through the RSS 2.0 feed. Both comments and pings are currently closed.